Container office buildings function as temporary work stations. They are designed to be transported by road or railway, and may be expertly fitted onto a truck. 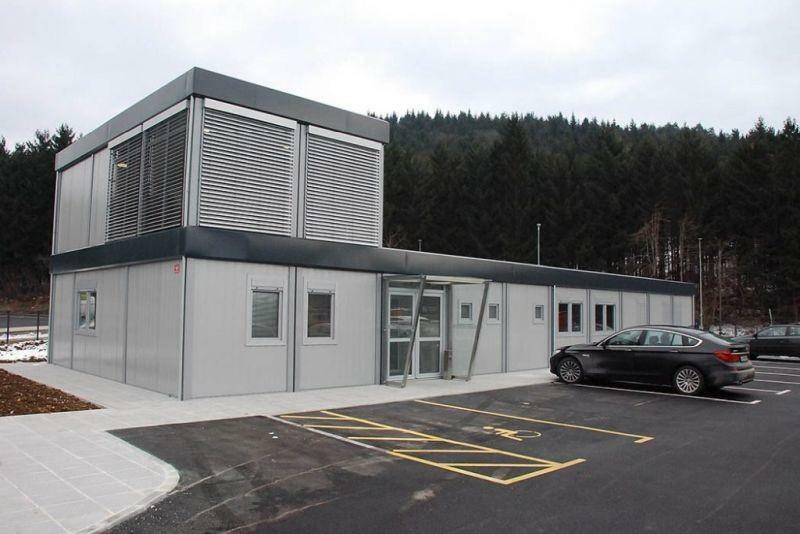 Container offices for sale are functional, yet incredibly small. The confined space may be problematic for certain people, who suffer from mild claustrophobia. While the outer design remains purely functional and plain, the inside of the container office building is furnished to resemble any other office space. It may appear cluttered, but it is perfectly suitable to serve its purpose. The different shelves, desks, chairs or other equipment must be fitted to avoid potential accidents during transportation. Typically, container offices may appear to be somewhat unattractive, or at least pretty simplistic in style. Modern designs, bright colour combinations and certain attractive features are used to liven up both the container’s outer and inner appearance. Bright lights and functional furniture may further help ensure the inside’s user-friendliness. If at all possible, in most cases it’s best not to clutter the container office too much. The space afforded is minimal as it is. Packing the office with too many desks, shelves or equipment limits movability in the room, as well as potentially creating a rather unpleasant atmosphere, which may at times feel almost stifling. Simplicity is typically the best possible design choice. Little decorations or potted plants may brighten up the room a bit, creating a more personal or comfortable environment. At the same time, it is again important to be conscious not to over-clutter the work office. Budget office containers offer fewer amenities and space than the REM living containers. These are branded as higher quality products and typically tend to be larger in size. Some are used as sanitary containers, others as higher class offices. Certain containers function as prestige office stations – these typically entail a singular office desk and a private bathroom. Different amenities, such as air-conditioning, underfloor heating and a motion sensor lighting system, may be added per client’s wishes. The high, modern technical standards are accompanied by stylish design, which aims to trick the eye. Certain features or allignments can convince the spectator that the room is larger than it really is. With simple sensory tricks like these, the container office building offers a better long term working experience and helps improve the user’s mood. Adequate air-tightness is an architectural feature that is absolutely vital for a user-friendly work environment. Heat insulation is of similar importance. Without either, the working conditions in the container office would severely fluctuate, improving or decreasing according to the outside weather conditions. To ensure optimal conditions throughout the entire year, both air-conditioning and heating are installed. Underfloor heating is an optional, prestige feature that was only recently added among the roster of amenities REM is able to provide its customers. The office may be customized to fit the client’s individual needs or preferences. Depending on the altitude, the climate and surface inclination, different container modules may be used or adapted to fit specific conditions – before construction, the surface must be properly stabilized. 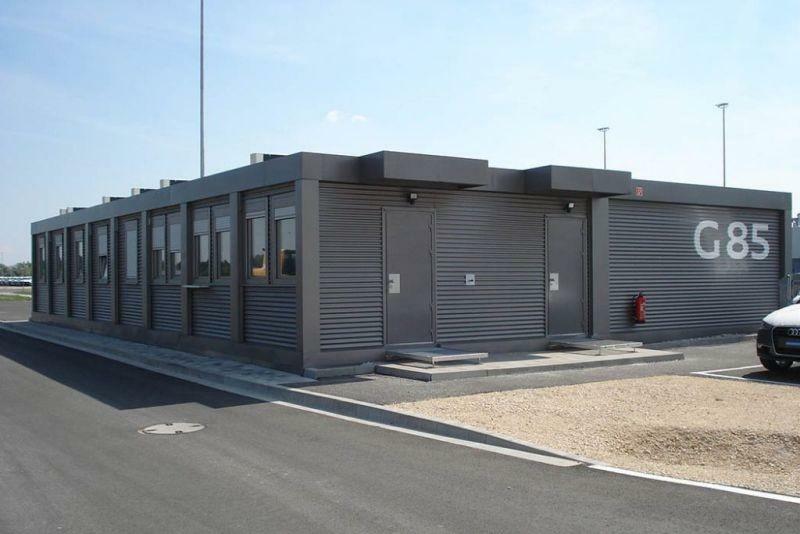 The container office buildings may then be equipted with partitions, to allow a level of privacy. On the other hand, fire safety is an obligatory feature and is installed in all REM container office buildings. Portable office containers must be light enough allow transportation and robust enough to survive it without any permanent damage. At the same time, they must offer a number of different amenities and features. A water tank, heat pump, heat recovery ventilation and an energy source. To allow optimal function over a longer period of time, as little energy as possible is used. The REM portable office containers conform to low-energy standards. The energy consumption is appropriately low and eco-friendly, but offers acceptable, even comfortable working conditions. The REM container office manufacturer ensures all the material used is re-usable. Once the container is no longer in use, it may be dismantled and the pieces used for recycling.